It’s only logical when you hear about it, but you’d probably never think it would happen - Instagram and Hipstamatic are about to announce a partnership allowing you to post pictures from one service to the other. Both are famous for delivering top notch vintage effects to pictures, but have kept them in their own walled gardens for quite a while. 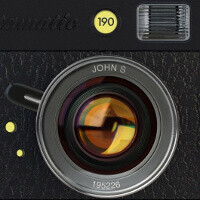 Now, pictures taken via Hipstamatic could be pushed directly to Instagram. The pictures can be auto-tagged with the name of the lens used, film and flash, and even a comment. "When we launched, it was all about Facebook and Flickr and Twitter, and now we're seeing a huge shift in our user base toward Instagram. We've never been a social networking company, but we clearly benefit from social networks. So this will be the first app outside of Instagram that lets you into their network. That's pretty cool for us," Hipstamatic CEO Lucas Buick said. Instagram has recently registered its 27 millionth user and is enjoying huge growth expanding to other platforms like Android. The new pictures that will start appearing will carry the “Taken with Hipstamatic” tag. Speaking about the motivation behind the partnership, Hipstamatic’s chief executive mentioned that people obviously post pictures snapped via Hipstamatic on Instagram all the time. The partnership should be mutually beneficial. Hipstamatic could get a sales boost by being tightly integrated with Instagram, while the latter will benefit from a photographic community of 4 million. Most importantly, though, it underscores Instagram’s role as a social platform. Twice the hipster annoyance in one, this year really will be the end. If a hipster acknowledges the fact that they're a hipster, doesn't that defeat the purpose of being a hipster? Instagram should just buy Hipstamatic. What's the difference other than extra filters? its all good, but there are tons of apps that allow direct sharing to Instagram, so Hipstamatic is not the first one. It is just the first one that Instagram decided to help with PR:) anyways, they two make a good combo and are in the list of my top apps.